We’d love your help. Let us know what’s wrong with this preview of Unstoppable by Melody Grace. To ask other readers questions about Unstoppable, please sign up. Because in the end, the most important second chance you'll ever have is the one you give yourself. Tegan's story finally. We had a glimpse of her in Dex's story and I was excited to read her book. The love her life OD'd a year ago and Tegan's life has been unraveling since then. She partially blames for herself not being able to save Connor and is suffering from depression. She did some time in rehab after a failed suicide attempt and is now trying to get on with her life. "I've been drifting for so long..."
She escapes to Dex's beach house for some alone time. Along the way she meets Ryland. Tegan is not ready for love, however Ryland has decided he must have her. They both are running from past's they want to get over but are still being controlled by. They are each other's second chance at love and happiness. He's everywhere: the shimmering in my bloodstream, the sweet rush that spreads through every part of me. I enjoyed this book a lot. Tegan's struggle to get on with her life is very realistic and relatable. I adored how her brothers were constantly worrying about her. The chemistry between these two was amazing and made for a great romance read. This is a great book about overcoming tragedy and taking second chances with love again. As much my heart broke for Tegan and her tragic past, Ryland's sad past - bad family - stood out more for me. He has been running from his past a lot longer then Tegan and keeps getting sucked back in. I was happy when he finally cut that rope pulling him back. I want to start off by thanking Melody Grace for giving me the opportunity to read Unstoppable early. The Beachwood Bay series is one of my favorite series. I adore all the characters and love that I am able to go along with them on their journey to find love. Unstoppable follows Ryland James and Tegan Callahan; this would be book 2 in The Callahan’s direction of the Beachwood Bay series. Ryland or Ray Jay as some might remember him as from Unbroken, is the estrange brother of Emerson (Unbroken) and Brit (Unafraid). He returns home to Beachwood Bay after being gone for many years hoping he can leave his past behind and start a new life for himself. I felt that Ryland’s story in Unstoppable kind of made the story of the James family come full circle and complete, which made me happy. Tegan Callahan is the baby and the only girl of the Callahan siblings. After a going through the past year in a pretty dark place, Tegan is ready for something new and that new doesn’t include anymore bad boys. Leaving LA and her past that keeps haunting her, Tegan sets out on her own to Beachwood Bay to find that new start. What happens in Vegas doesn’t always stay in Vegas. 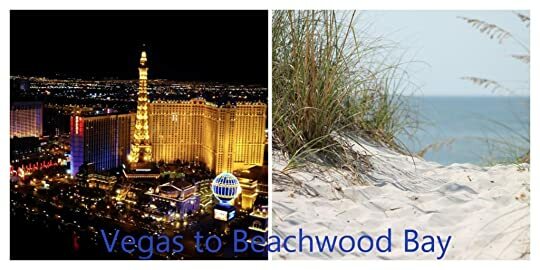 Tegan and Ryland never thought they would see again the stranger that they shared a mind blowing kiss with in Vegas that is until their paths cross again in Beachwood Bay. Tegan and Ryland share more than just their uncontrollable desire for each other, their past is a lot more similar than they can imagine. I liked Unstoppable, but for me it felt like it was lacking some of the magic the other books in the series had. The reason I gave it only 3.5 stars is because the ending felt too rushed and very abrupt. The entire story also seemed to be a little rushed, never giving the time for the characters to fully develop. The instant attraction and need for each other seemed to be fast and repetitive since it kept being brought up. These are just my issues and mine alone, this is still a very good story and perfect for someone looking for a fast paced read about second chances that also has some really good heat! I still love this series and can’t wait for Unexpectedly Yours. 4.5 nothing like Beachwood stars! "Because in the end, the most important second chance you'll ever have is the one you give yourself"
That man is just swoon!!! But I digress. I expected Unstoppable to be a great read. Over five books into the series, it's safe to say I love Beachwood (and wouldn't mind at all falling in love there). Still, when I picked up Unstoppable, I was surprised by how much fun I had reading this story! Seriously, after Unbroken and Unafraid, thi 4.5 nothing like Beachwood stars! I expected Unstoppable to be a great read. Over five books into the series, it's safe to say I love Beachwood (and wouldn't mind at all falling in love there). Still, when I picked up Unstoppable, I was surprised by how much fun I had reading this story! Seriously, after Unbroken and Unafraid, this is now my new favorite of the series. Tegan Callahan is Dex Callahan's (from Uninhibited) little sister. After an incredibly horrible tragedy, Tegan's barely surfacing. Her brothers and best friend are concerned and Tegan is lost. Add to that a passionate kiss from a complete stranger one night in Vegas, and Tegan is ready to set her life in order. No more recklessness, no more mistakes...only safe and sound. And what better place than Beachwood to do so. Ryland James' life has been on a downward spiral. After escaping Beachwood Bay so many years before, he never thought he'd be back. But life's been rough and with only the memory of a beautiful angel that night in Vegas, Ryland decides home's always the best place to start all over again. Both are tired and burned, but when one coincidental meeting turns into another, sparks continue to fly. Can second chances really be offered to all? Ryland chuckles. "Believe me sweetheart. If Prince Charming came along, you'd probably punch him in the face. After kissing him first," he adds, with a grin"
So I don't want to go into too much detail with this one because it's best to go in blind in terms of a lot of things. I honestly didn't even remember who Ryland was until I got a couple of pages into the book, but suffice to say, I squealed when I saw we were getting Ray Jay's book! He and Tegan were such a great pairing! Their chemistry was palpable yet so sweet. Ryland said some of the sexiest things, but he recognized the demons Tegan battled and knew how to proceed with caution. It was also beautiful to see Tegan surpass her insecurities and fears, and find her own way. Although we've now come upon the Callahans, it was so fun to see Emerson, Juliette, Hunter and Brit make appearances. Seeing Ryland mend fences with his family felt like bringing everything into full circle. As always, the setting was fantastic, and the side characters introduced (Zoey and Blake) have me excited for the next book. Plot wise, this book moved pretty quickly, and I highly enjoyed every second of it. My only complaint was that the ending felt incredibly rushed. An epilogue or another chapter would have definitely made this a more complete story. The gist: Tegan lost her boyfriend and spiraled into a deep depression, landing herself in a posh rehab facility. She's in recovery now and she's looking for a quiet, stable life. Ryland has had a rough life and for the last few years, he's been working as hired muscle for a ruthless man. He wants out so he can return to his quiet hometown and live a peaceful, respectable life. When these two cross paths, sparks ignite. He's not I received this ARC via NetGalley in exchange for an honest review. The gist: Tegan lost her boyfriend and spiraled into a deep depression, landing herself in a posh rehab facility. She's in recovery now and she's looking for a quiet, stable life. Ryland has had a rough life and for the last few years, he's been working as hired muscle for a ruthless man. He wants out so he can return to his quiet hometown and live a peaceful, respectable life. When these two cross paths, sparks ignite. He's not what she's looking for; she's exactly what he's looking for. Their chemistry is too powerful to stay apart. Tegan was alright, I guess. I didn't feel any connection with her, though. She'd OD'd and nearly died at in her darkest moment. Now, she struggles daily to battle her demons. As far as her depression goes, she seemed too clinical to me, if that makes any sense. She had all the textbook struggles and whatnot, but her reason for the spiral didn't seem very well developed. It just didn't jive for me. Ryland was a mass of contradictions for me. He had a rough childhood, but he had all this anger that didn't really make a whole lot of sense to me. He left home when he was a teenager and sort of floated around for awhile before crossing paths with the guy who ends up controlling his life. His backstory didn't seem very well developed. It seemed almost too clinical, too. Their stories were just too perfectly fucked up for me. Their struggles, their recoveries, they just seemed too 'by-the-book', if that makes any sense. There was plenty of psychological and addiction research, but I didn't feel like their histories really coincided with the actual struggles. The story itself was just okay for me. At times, the dialogue seemed overly juvenile and the characters were overly angsty. There was a lot of repetition about '...when this happened...' or '...because I'd been through that...' Both MCs just dwelled WAY TOO MUCH on their pasts. And they opened up WAY TOO QUICKLY to each other. After only knowing him for a week, and been skeptical of him, Tegan opened up and confessed stuff she'd never told anyone, including her therapists. That just didn't ring true for the depth of her supposed trials and tribulations. It was the same for Ryland, although it did take him a few more days to open up to Tegan. And, really, his trials and tribulations didn't seem like they were such a big deal that they'd need to be these deep, dark secrets that he didn't want anyone to know. I was so excited to now read the fifth most wonderful book of, Beachwood Bay. Now to enjoy Tegan Callahan's new upcoming romance to enjoy. When she meets Ryland James who has escaped to Beachwood Bay himself. I thoroughly enjoyed this wonderful book. Now he knew it was time for him to escape and hit the road once again. And suddenly he see's this gorgeous woman again. And they introduce themselves to each other. And then she quickly disappeared. I met Tegan in Dex’s story, and I must admit, she grew on me. Being the only girl in the family, her brother’s tends to be over protective of her. It didn’t help that she is about to start her life once again – a second chance. This time, she would live her life the way she wanted it – away from the limelight, away from the noises and just peace and quiet. Where else would she find solace, but in Beachwood Bay? Ryland James is your typical bad-boy trying to be a good one. It took seven long years before he was finally back in town, with his family. They didn’t really know what happened to him, only that he checks on them every now and then, to let them know that he’s still around. But now, he has been given a second chance, he grabbed it with both arms. What he didn’t expect to find was Tegan – his lucky charm in Vegas. The reason behind is second chance. Both of them had dark past, and is looking forward for their second chances. They didn’t expect to meet and rock each other’s world. Tegan tried to resist it, she and bad boys didn’t really have a great history together, but then their chemistry together was too hard to ignore. They tried to keep their past in a tight lead, but soon their past comes rushing towards them, especially Ryland’s. He needed to make a choice: risking their newfound love and happiness or keeping her safe? Who wouldn’t love a compassionate soul underneath the bad boy exterior? Ryland might have hang out with the wrong crowd and had been missing in action for the last seven years in his sibling’s lives, but he had done it to protect them. He did things he wasn’t proud of because of desperation. This is a story filled with hope and second chances. Not just with life, but with love. 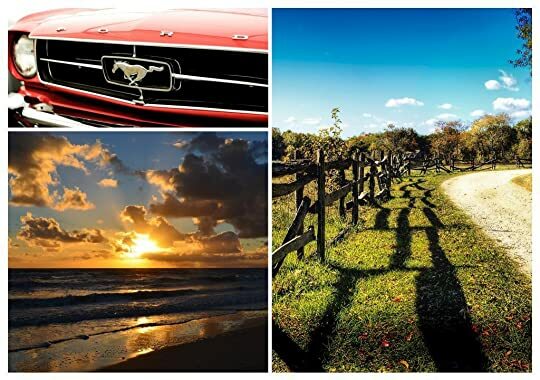 It’s not just pure romance, with a sprinkle of steam – it’s an inspiration for people who have stumbled along their way. Life will be always filled with second chances, it will be always up to you on what to do with it. This book was just okay in my opinion. Tegan is the little sister to 3 immensely successful brothers, ones a CEO, ones a rock star, and the other an A-list movie star. Then there's Tegan … she got mixed up in a bad relationship and now she's sworn off men. At least bad boys, she wants someone stable and easy. Instead she runs into Ryland of all people in Vegas, they share one kiss before she leaves and that's the end of that. Until the both happen to move to the same sleepy beach town on the other side of the country. Ryland;s finally free from his past, or so he thinks, and returns home to start over. Tegan and Ryland suffered from insta-love. All consuming, I can't live without you, joking about growing old together love all before the first date ... Normally it doesn't bother me to much, because hey its a book i get you need to keep the plot moving but this, this just got on my nerves. Also I think that the constant bring up of Connor, the ex-boyfriend, also hurt their relationship in my eyes. Tegan compared Ryland to Connor almost the entire book, then went on saying that Ryland wasn't a rebound and it almost felt like he was. This was an okay book. The writing wasn't bad and it was pretty long. I'm not saying it's a bad book by any means, It got a ton of 5 star reviews, it just wasn't for me. I absolutely love Melody Grace!! Her writing has always pulled me in from the first paragraph and that is no different with Unstoppable. I was so happy to see a book about Ryland. I had been wondering about him since Untouched was released. Ryland and Tegan both battled demons. They were there for each other and didn't give up. The chemistry between them was HOT!! I also loved the whole alpha male side coming from Tegan's brothers! They truly care about h I was given an ARC for my honest review. Ryland and Tegan both battled demons. They were there for each other and didn't give up. The chemistry between them was HOT!! I also loved the whole alpha male side coming from Tegan's brothers! They truly care about her. The book ended abruptly, however I am sure that Melody will be writing more about Tegan and Ryland in future books. I can't wait to see what life has in store for them. They both deserve their happy ending. Melody Grace has done it again! Like the ones before it, "Unstoppable" has unforgettable characters and an equally captivating plot. Although introduced in earlier books, you really get to know all about Tegan, little sister of Ash, Black and Dex Callahan. I was also happy get to know "Ray Jay" Teagan's bad boy turned small town mechanic who try as she might she can't get out of her mind...or her heart. I loved how the relationship between Ryland and Tegan develops, e 5 COMPELLING, STEAMY STARS!!! I received an Arc of this book. I love Beachwood Bay!! I've loved every book in the series, but Emerson has always been my favorite Beachwood Bad Boy. After reading this, little brother Ray Jay definitely gives him a run for his money!! I loved that Teagan was a strong women and not the oh poor me type that she could have been. Looking forward to meeting the rest of the Callahan bunch!! I really enjoyed this story, although it wrapped up very quickly and a little too easily at the end. Really enjoying this series of books. Although each book can be read as a standalone, it is nice to follow the series and get to know the recurring characters. A good storyline, great characters, love, passion and some steamy scenes. I feel like I've said this a time (or twenty) in the past, but I think I have to say it again. I freaking love Melody Grace's books. I love her characters and their stories. She has a way of writing good, believable romance with drama that never becomes too angsty. Unstoppable was a great addition to her Beachwood Bay series. 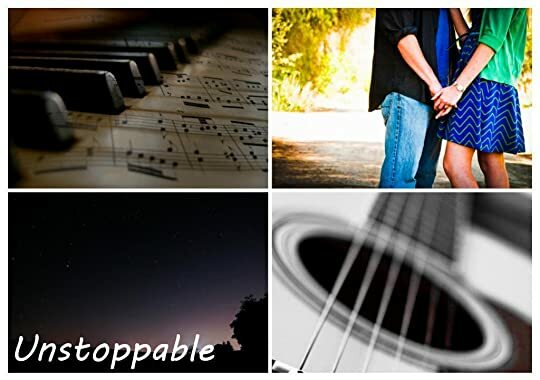 Unstoppable is the story of Tegan and Ryland. We've met Tegan, Dex Callahan's sister, previously in the series. She was spu Find this review and more at kimberlyfaye reads . 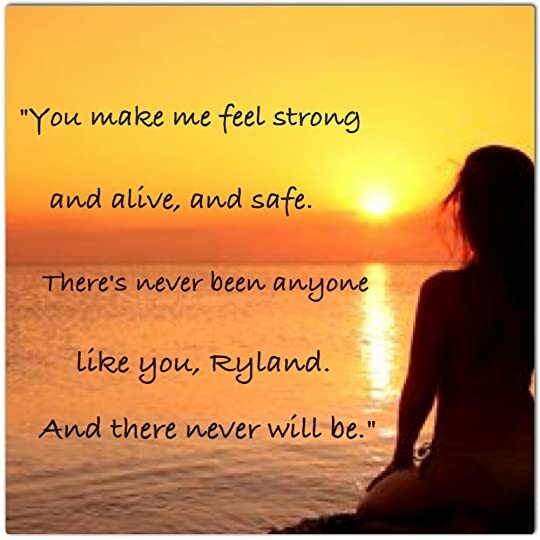 Unstoppable is the story of Tegan and Ryland. We've met Tegan, Dex Callahan's sister, previously in the series. She was spunky and fiery and I didn't really know what to think of her. Well, I got the full story in Unstoppable and I gotta say, I liked that girl. She had a rough past that made my heart ache for her. Being that he's Emerson and Brittany's brother, Ryland might have popped up previously in the series. He's been absent from their lives for quite awhile, so I'm not sure. (Confession: I haven't read ALL the Beachwood Bay books. I need to rectify this as soon as possible.) Ryland was a complicated guy, but one who I really liked. He's protective of those he cares about, nearly to a fault. When the book starts, he had just gotten himself out from under some pretty big debts from a really scary guy. He's celebrating in Vegas when he meets Tegan for the first time. Tegan and Ryland meet in Vegas and share one passionate kiss and go their separate ways. Fate's not done with them, however, as they find themselves in front of each other again back in Beachwood Bay. The chemistry they shared in Vegas definitely wasn't a one-time thing. Neither of them is looking for anything serious, and the secrets they're hiding become giant obstacles for any future they might have shared, but it just might be worth taking a chance. I loved these characters. I found their stories unique and I rooted for them as a couple right from the very beginning. They worked so well together. They challenged each other and their attraction was obvious. I enjoyed watching them overcome their pasts and what they thought they wanted out of life to try to make things work together. Neither of them was perfect, but somehow together, they were. I can't wait to see what the Beachwood Bay series will bring us next. And I really do need to go back and read the other books so I can put all the pieces together. I've loved each of the characters and couples Melody has introduced us to. They keep popping up in later books and I feel like I might be missing important parts of the series. So, no time like the present to fix that, right? My Nook smoked and sizzled and practically burst into red-hot flames when I read this book! I don't know what it is about Melody's writing style, but I am addicted like a drug. Yes, reading Melody Grace books is my drug of choice. Readers were introduced to Tegan and Ryland in previous Beachwood Bay books. Tegan is a Callahan, the sister to Dex. (Remember Dex and his rockstar hotness?) You found out about Tegan's past, but you really dive into it with Unstoppable. Ryland is Emerson and Brit's brot My Nook smoked and sizzled and practically burst into red-hot flames when I read this book! I don't know what it is about Melody's writing style, but I am addicted like a drug. Yes, reading Melody Grace books is my drug of choice. Ryland is Emerson and Brit's brother but his character was more of a thought than an actual person in the first several books. Well, Ryland is flesh and blood in Unstoppable. He's tall, dark, handsome, and knows how to treat a woman on the back porch! Together, they are dynamic and hot. They are passionate and intense. They burn up the sheets and the pages of your e-reader. Love isn't just a four-letter word to these two. They both feel it deeply and it's both a revelation and a burden. One must leave the one they love to protect them. The other must fight to preserve their future. A 5-star, amazing read. Unstoppable can be read as a Stand-Alone, but I hope you don't read it that way. Start that the beginning. All of these characters intertwine, each story feeds off of the others. Melody, I adore your writing. I am excited and honored to be on your ARC team. I truly get all goosebumped gitty every time I open an new novel from you. I can't wait - CAN'T WAIT - for the next one! Older brother meets best friend. (And I'm a huge fan of that scenario if anyone has read my debut novel, Trust Me). I can't wait! Bring on the next Melody Grace novel!! But the truth is, there’s no ignoring our demons. We’re all broken, jaded, worn out by love gone wrong. We all carry the scars of a hundred battles, the mistakes we've made, the regrets we live with, every day. They’re part of our stories, the things that make us who we are. This was another great read by Melody Grace. She writes compelling characters who come to life on the page and make your heart smile and ache right along with them. Tegan and Ryland are both scarred and hurt, but are looking for something to make them whole again. When a chance encounter in Vegas leaves them both remembering a passion-filled kiss that may have held promises, they are both taken by surprise to cross paths once again in the small community of Beachwood Bay. I just love how Melody Grace takes you on a journey with her characters, through the ups and downs, the self-doubts and self-recriminations, and then ultimately lands you in a place where taking a risk with your heart again is the only thing that seems to make sense. It was fun catching up with other characters and I really love the entire Callahan family – and boy do I feel bad for Tegan being the little sister to three dominating alpha men! My only complaint about the book was with the ending. It seemed to wrap up a bit quickly and I felt like I needed a little bit more closure around things for the characters to have felt really safe with how things turned out. All in all, another great installment to the Beachwood Bay series, one I would highly recommend to anyone who loves a HEA wrapped around great characters, a bit of angst, and a whole lot of fun. Melody is such a gifted writer, bringing detail to life and pulling you instantly into the story. She walks a fine line effortlessly, providing enough detail to fill in the blanks without bogging down the story. Well done. Desperate, painful moments brought tears to my eyes, and sweet, loving ones warmed my heart. A wonderful read from beginning to end, Unstoppable took me on an emotional roller coaster ride. The moment Ryland and Tegan meet for the first time is great, immediately sparks start f Melody is such a gifted writer, bringing detail to life and pulling you instantly into the story. She walks a fine line effortlessly, providing enough detail to fill in the blanks without bogging down the story. Well done. The moment Ryland and Tegan meet for the first time is great, immediately sparks start flying and you know the story is going to be good, but if the first time was great, the second is fantastic. One of the things about small town life, there's no where to hide. Tegan tries to resist her desire, but let's be honest... who could resist a man like Ryland? Paintball as a first date? He's a genius. Tegan has a rough past, with many demons still to fight, she clings to writing to keep her head clear. While the musical talent may have skipped her, sometimes the written word is all you need. I have to agree with her, having a rock star for a brother comes with serious perks. Love the beach house! Ryland is running from demons of his own, and trying to mend broken ties. Just when you think it's lining up for a wonderful happily ever after ending, his demons come to call and the story continues. As a North Carolina native, I loved reading a story based so close to home. This is the second Melody Grace book I have had the pleasure of reading, and I adored every sentence. Of the two books I have read, I noticed that she is at her most profound at the beginning of her story. I love that, it sets the tone and settles me for the rest of the tale. Her writing is intelligent yet easy to read, insightful, observant, and for lack of a better word - enthralling. Her characters are flawed and often troubled, but they are also decent and well-intentioned. I have a hard time finding a stopping place to even temporarily put her book down, even when I need to. I am practically mesmerized and resent any interruption or intrusion while submerged in her story. And I should not fail to mention – she brings the steam oh so well. Swoon - if only there was a Callahan brother for me - I would love to live at Beachwood Bay! I do believe I am addicted. After finishing, I now completely understand the title... it's Unstoppable because you can't stop reading it. Melody Grace has done it again! This book was fantastic! I loved Tegan and Ryland's story, the push and pull of their relationship. They are both damaged and broken, looking for a second chance on life and love. Their story had the perfect amount of angst and romance. And I loved seeing their connection to the characters in the previous Beachwood Bay series. Unstoppable is an enjoyable read that will captivate you from start to finish. I fall more in love with this series with each book that I read and I can't wait to see where Melody Grace will take us next! "There's not a soul in the world who hasn't been brought low at some point. What matters is what you do when you hit the bottom." Powerful and emotional are the two words I would use to describe this book. Our two main characters share a bond of what impact guilt and the pain of losing a loved one can have on your life. They have both done all they can to help a loved one dealing with addiction, but in the end, knowing they cannot save their loved one. They carry the guilt that comes with this kn "There's not a soul in the world who hasn't been brought low at some point. What matters is what you do when you hit the bottom." Powerful and emotional are the two words I would use to describe this book. Our two main characters share a bond of what impact guilt and the pain of losing a loved one can have on your life. They have both done all they can to help a loved one dealing with addiction, but in the end, knowing they cannot save their loved one. They carry the guilt that comes with this knowledge and the "what ifs" that haunt them - what if I had been there? What if I had not left them alone? Damaged as they are, they feel this bond between them and reach for each other. They share their secrets and console each other. The chemistry between them extends further than the lust they feel for each other. It is a chemistry of their souls that brings them together to make them complete. Better than they were alone; complete with each other filling the gaps in each others souls. This Beachwood series is a favorite of mine. Each book is a standalone, but as you read the series, you become part of these families and this small town community. Each book enriches our knowledge of the characters as we see them deal with the obstacles they face, grow, love and come together as a family. Paying off his debt , Ryland James hopes to see the end of his past as he walks out the door in a club in Las Vegas but not before seeing a beautiful woman who seems to be his lucky charm. Teagan Callahan is not in the mood for losers and bad boys as she has her fix to last a lifetime so when Ryland comes into her sight , she knows she should stay away. They share a kiss but that's it and go their separate ways , though over the next couple of days they can't help but think about the other. Ryl Paying off his debt , Ryland James hopes to see the end of his past as he walks out the door in a club in Las Vegas but not before seeing a beautiful woman who seems to be his lucky charm. Teagan Callahan is not in the mood for losers and bad boys as she has her fix to last a lifetime so when Ryland comes into her sight , she knows she should stay away. They share a kiss but that's it and go their separate ways , though over the next couple of days they can't help but think about the other. Ryland decides it's time to head home to Beachwood Bay - He is the brother of Britt and Emerson James, they haven't seen him in seven years. Teagan needing to clear her head decides to head to her brother Dex's home in Beachwood Bay as he is on tour with his band and fiance Alicia from who featured in the previous book "Unrequited". Teagan's car breaks down in Beachwood and lo and behold who should drive up but Ryland - the guy from Vegas and so soon will become this on/off I shouldn't go there but I want to so bad relationship. What happens though when Ryland and Teagan start to get serious and Ryland's past catches up with him ? Will he take the easy way out and go back to the dark side or will he stand up for what's right but lose the ones he loves in the process ? Can Teagan show Ryland that no matter what happens, he has her heart ? Wow this was my first book by Melody Grace, but it certainly won’t be my last. Ryland is such a sweet man who really has been dealt an awful hand in life. When the story starts he is on the mend and has decided to move back home to be with his family. He thinks he has finally paid his debt and can have a fresh start with his brother and sister and get back to a normal life. When he meets Tegan he really starts to believe he might actually get his chance at the happiness that surrounds him. Unfor Wow this was my first book by Melody Grace, but it certainly won’t be my last. Ryland is such a sweet man who really has been dealt an awful hand in life. When the story starts he is on the mend and has decided to move back home to be with his family. He thinks he has finally paid his debt and can have a fresh start with his brother and sister and get back to a normal life. When he meets Tegan he really starts to believe he might actually get his chance at the happiness that surrounds him. Unfortunately, his past comes back to haunt him and forces him to do the noble thing. Tegan Callahan is surviving a relationship gone very bad and just wants a break to get herself back together and to prove to her family that she will be alright. When she meets Ryland she pushes him away because he appears to be everything she’s not looking for. Fortunately for her, she allows herself to get to the know the real Ryland and is pleasantly surprised. This was an awesome story of two very broken people who found each other and were able to heal one another. I loved the way the author brings them together and allows them to save each other. I really like the characters in Melody Grace's Beachwood Bay/The Callahans series and the books seem to be getting better as they go along. Unstoppable is my favourite book in the series so far. I wasn't expecting this because I really enjoyed Dex and Alicia's story but Ryland and Tegan topped it! Until now Tegan has pretty much been in the background, known only as Dex's younger sister. In Unstoppable we get to see what makes her tick and why she struggled so much in the past. Instead of the brat I was unfairly expecting, Tegan is really likeable and sweet. I appreciated her vulnerability and how she tries to look after herself rather than relying on her famous brothers. Ryland is fierce, strong and determined. It was sad seeing how little he felt about himself and how he lets certain people use him. He definitely hasn't had it easy! Tegan and Ryland's chemistry is really good and I enjoyed seeing their relationship grow. I had moments of frustration with both of them where kept hoping they wouldn't do anything stupid. Without giving anything away, we do get to catch up with some of the previous characters and meet some new ones. I'm looking forward to Blake's story up next. This is my 3rd book by Melody Grace, Its my favorite one. I stayed up all night just to finish it. I got a little info on Tegan in Uninhibited. I really wanted to hear her story. I also wanted to see how it was with her and Conner, and how she was living after a loss like that. So Tegan meets Ryland (Ray Jay) in Vegas. She can tell he is a bad boy, which make him a bad choice for her. She shuts him down but not before he steals a all consuming kiss from her. A month later Tegan goes to stay at he This is my 3rd book by Melody Grace, Its my favorite one. I stayed up all night just to finish it. So Tegan meets Ryland (Ray Jay) in Vegas. She can tell he is a bad boy, which make him a bad choice for her. She shuts him down but not before he steals a all consuming kiss from her. A month later Tegan goes to stay at her brothers place in Beachwood Bay to get away from it all. She still hasn't stop thinking about that kiss from that stranger in Vegas. While broken down on the side of the road guess who pulls over to help her..........That's right the Vegas Kisser Ryland. This is a story about a broken girl and a broken boy trying to figure out life. When they come together it like they are glue for each other and they start to feel whole again. Then Ryland past tries to come between them. Tegan and Ryland work it out and you get your HEA. Five AHhhhhhh Stars from me! I have become real fan of Melody's books and this latest one is again a winner of me! Tegan is introduced to us in Dex's story and her story was crying out to be told! Melody has done a fantastic job of creating a story that had me gripped front he start and also added a lot of hot steamy scenes and a good dollop of will they won't they too! A pretty steamy chance meeting in Vegas brings the two main characters together. Ry appears pretty smitten from the word go and it Five AHhhhhhh Stars from me! A pretty steamy chance meeting in Vegas brings the two main characters together. Ry appears pretty smitten from the word go and it takes some encouragement for him to final breakdown the walls that Tegan has built. I really love both Tegan and Ryland and after reading Dex's story I was humbled to find that Tegan is actually rally loveable and theres a lot more to her than meets the eye. Ryland totally made me swoon too and on the face of it he's the stereotypical bad boy but again once his outer layer is peeled back, the loving and totally adoring man inside is revealed. Both characters have a lot to deal with from their respective pasts but this adds to the drama of the story. It is truly worth read and for me the ending was truly brilliant, especially he lengths to which Tegan goes - I will say no more! I highlighted the hell out of this book. I may have had my doubts about Tegan in Uninhibited, but now we finally understand her a lot better. And don't even get me started on Ryland. Swoon-central, ladies. Loved Tegan and Ryland together, and loved seeing some old, familiar Beachwood Bay friends. <333 I can't wait for the next one!!! Full review to come near release day!